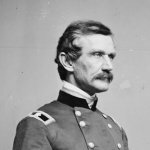 Who were Sickles’ 3rd Corps division commanders? Along Emmitsburg Road near the intersection with North Sickles Avenue, you will find a bronze statue of Humphreys. Which of Sickles’ division commanders have park avenues named after them? Which of Sickles’ division commanders have statues at Gettysburg? What symbol identifies the 3rd Infantry Corps on Gettysburg monuments? Who commanded the Union 3rd Corps? Who were Birney’s 1st Division brigade commanders? 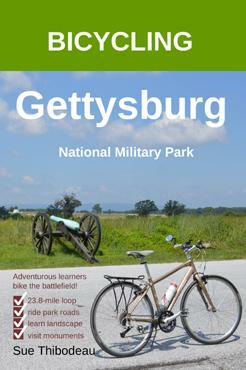 In Gettysburg National Military Park, De Trobriand Avenue extends from the northern part of Rose Woods to The Wheatfield, where it dead-ends on Sickles Avenue. Who commanded the 1st Division, 3rd Corps? 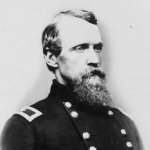 Who commanded the 1st Brigade of Birney’s Division? 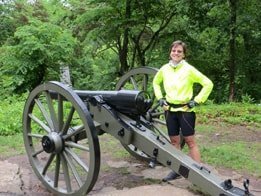 Who commanded the 2nd Brigade of Birney’s Division? Who commanded the 3rd Brigade of Birney’s Division? Who were Humphrey’s 2nd Division brigade commanders? Who commanded the 2nd Division, 3rd Corps? Humphreys was charged with holding the right flank of Sickles’ angled (salient) line. Humphreys Avenue is farther east and marks the general location to which Humphrey’s division retreated after being overwhelmed by Confederate attackers in The Peach Orchard on July 2.
Who commanded the 1st Brigade of Humphrey’s Division? 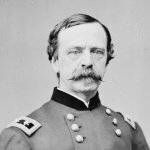 Who commanded the 2nd Brigade of Humphrey’s Division? 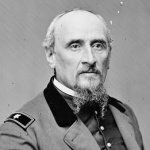 Who commanded the 3rd Brigade of Humphrey’s Division?